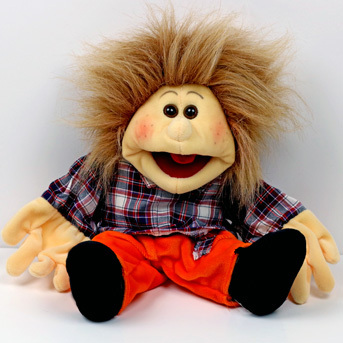 Puppets, music and learning aids to make communication fun! Good communication skills are vital to allow positive and effective learning. Delivery fee is £2.95 for first item and then £1.50 for every item over that (unless otherwise stated). 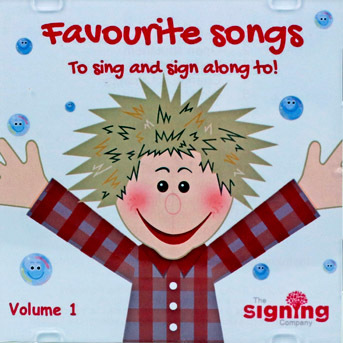 Make signing with your little ones even more exciting with Signing Sam. 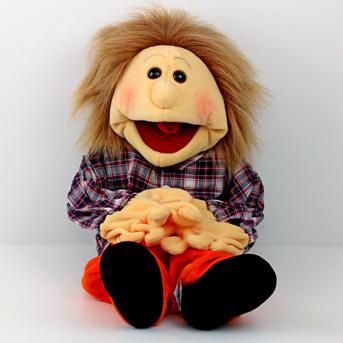 Little Signing Sam is a popular addition to our classes as little ones have fun being a puppeteer. 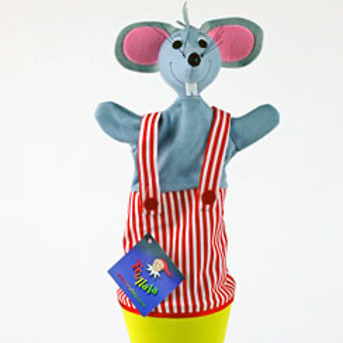 Poppy Mouse is central to the action as she “pops out” to say hello and is a great attention grabber. 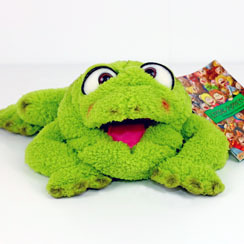 Another popular character that even the shyest of children love interacting with! 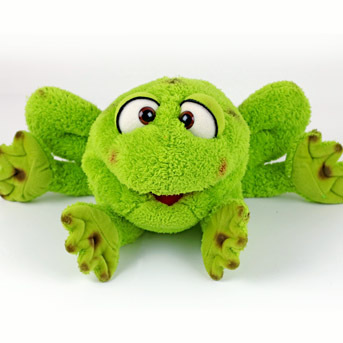 Another popular character in the classes, even the shyest of children love interacting with Froggy! 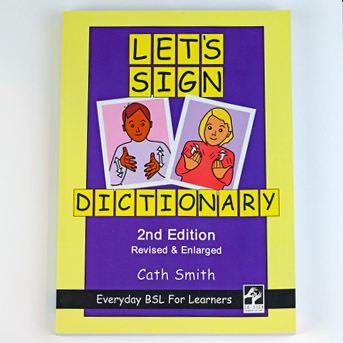 This is the “must-have” book that will support your learning in British Sign Language. 2600 generalised signs. 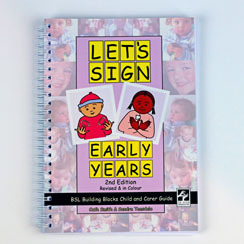 This book brings together the essential everyday signing vocabulary used in the early years. 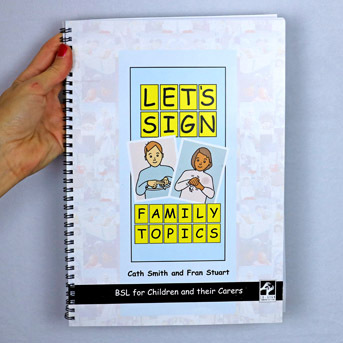 Let's Sign FAMILY TOPICS: BSL for Children and their Carers. A much needed introduction to BSL. 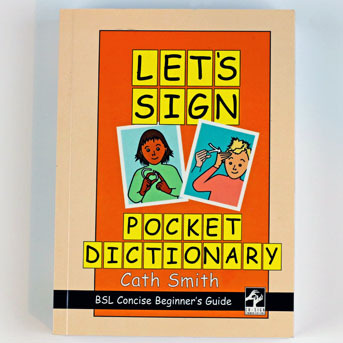 This 404-page pocket dictionary is in a compact, paperback format for ease of use anywhere. 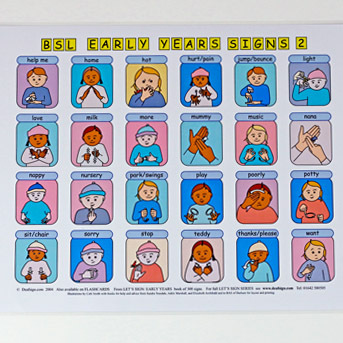 48 of the most useful First Signs for babies and young children. 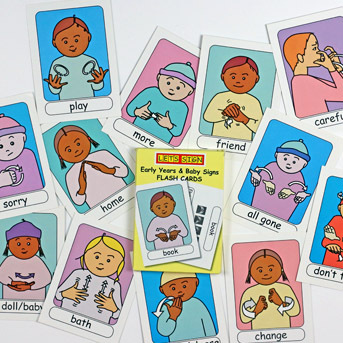 Colourful & appealing to adults & children, this laminated Flash Card set contains 48 of the most useful First Signs. 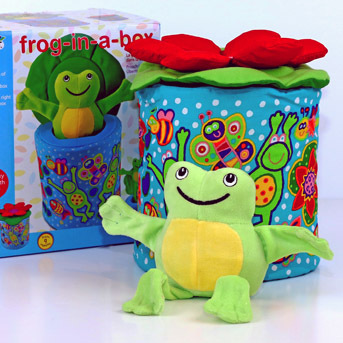 A soft fun version of the classic jack-in-a-box, with a difference - lift the lid and frog jumps right out of the box. 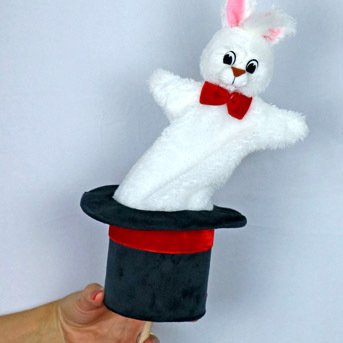 Say “Hello” to Poppy’s friend Bunny, your little ones will delight in the element of surprise and anticipation.